I’ve had an e-mail from Chuka (on Behalf of campaign group Open Britain) who was one of the few Labour MP’s who campaigned really hard to keep the UK in the EU. I had respect for him for that stance, especially as his party was generally poor at Remain campaigning. BUT Chuka then voted to enact Article 50 a few days ago and therefore voted for Brexit! Now he sends me an e-mail worrying about Brexit and amendments that will need to be put forward in Parliament to try to change Mrs Mayday’s White Paper. Excuse me, why on earth should I take any notice what so ever of an MP who campaigns for Remain, Votes for Article 50 and then expects me to support him in his amendments? Sorry your stance is beyond the bizarre Chuka. I would like to think that however you voted in the EU Referendum you will agree that our government should follow the law and not try to circumvent it and Parliament. If we agree on that then the ruling of the Supreme Court that Mrs May has to let Parliament have a say over Brexit should be very welcome indeed. She had set her face, for reasons only she knows, against our democratic processes and it has taken the Supreme Court to hold her to account as our major opposition party is all but standing with her! If we are ‘getting our country back’ as many Brexit enthusiasts say we are then why are some of them so opposed to our elected MP’s having a say? 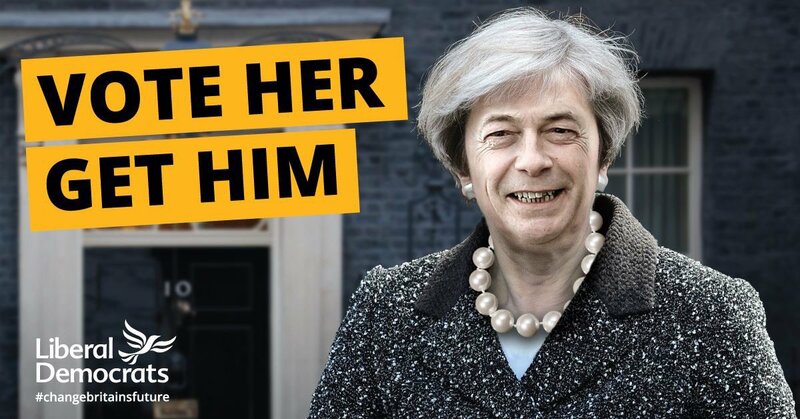 We are supposed to be living in a representative democracy where Parliament is sovereign yet there is a worrying element of Brexit supporters who are pushing us towards a fascist state where Parliament is little more than a lap dog for the powerful. That’s not getting our country back! 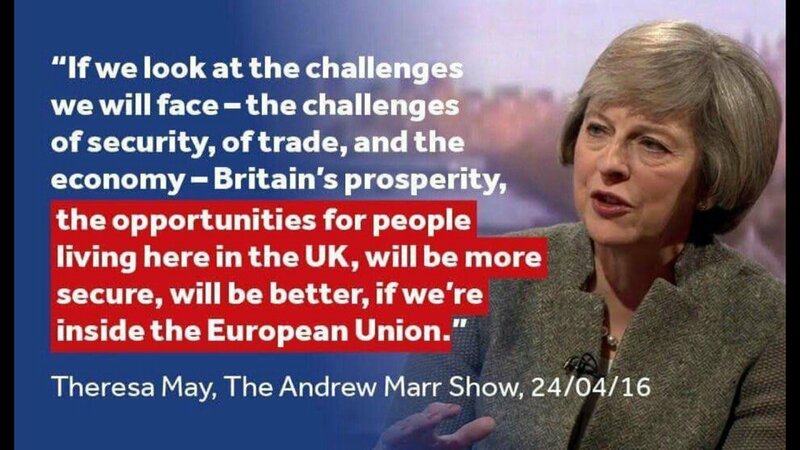 But no worry Mrs May(day) Labour are with you anyway over Brexit as they have given up being the major party of opposition. Yes they will try to come up with the odd thing to make it look like they are keeping you on your toes but in reality they are in your pocket and you know that as well as we do. 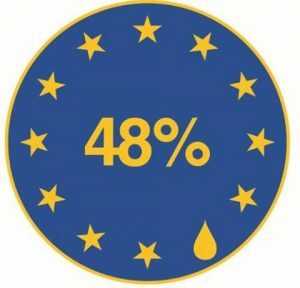 Why is it that Tim Farron’s Lib Dems are the only UK-wide political party that is willing to be a voice for the 48% who voted to remain in the EU? With credit on this subject too of course to the SNP in Scotland. This is an interesting intervention on a number of levels but it actually helps to expose the weakness that Labour is presently suffering from. Firstly, whilst Keir Starmer is attacking Tim Farron Labour is actually leaking party members to the Lib Dems. Secondly, Labour is all over the place with regard to Brexit, having adopted more positions than the Kamasutra since the EU Referendum. 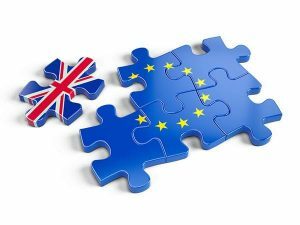 Thirdly, Labour is in a difficult bind in that many of their MP’s represent areas that voted to leave the EU, although that may well have been caused by the lack luster campaigning of the party before the referendum. Who can recall any prominent Labour politicians really and passionately backing Remain other than Gordon Brown? But probably more than anything this attack pulls together what would once have looked like a highly unlikely alliance of UKIP, Tony and Labour as the joint political force backing leaving the EU. Contrast this with the SNP in Scotland and the Lib Dems across the UK backing Remain. The best that Labour seem to be able to muster is that it will hold the Tory Government to account over the way we leave the EU. So by implication Labour are in effect abandoning the 48% who voted to remain in the EU. Who living today will forget the appalling EU Referendum campaign with all its lies, exaggerations and misleading information. And who will ever forget the leadership crisis it precipitated in the Tory, Labour, Green and UKIP Parties. We got the world’s attention alright and then made utter fools of ourselves and our democratic and tolerant values right in front of it. We could not have damaged the UK’s reputation any more if we had sent Cameron to the sea to hold it back or even appointed Boris to be say Foreign Secretary. We have sadly become the fool of the western world. But we have in reality simply been playing a Tory Game of Thrones throughout this appalling debacle. Just look at the events. 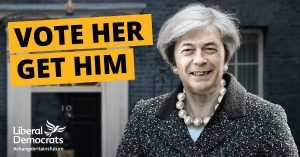 Cameron only promised an EU referendum because he thought he would be in Coalition again and that the Lib Dems would block it. He was right about the latter but totally misjudged the former, as did many others. Can you imagine his disbelief and angst at the General Election result in 2015. He was now going to have to deliver on that promise he had made to keep his troops quiet, never actually thinking he would have to implement it! Oh dear what to do now, it had all been set up not to happen with the Lib Dems carrying the can for blocking it. The pollsters and electorate (assisted by our warped electoral system) had played a cruel trick on him and it will be a trick that will probably sink us all. It was of course a terrible gamble that Cameron felt he had been forced to play because so many of this troops were on the verge of tripping over to UKIP. It was a punt that will ruin any credibility that he thought he would leave office with. The man who gambled every last chip at the poker table to save his Party but who lost the nations shirt (and pretty much the rest of our clothes) when his chips were down. But he had made his bed and he thought he could lie down in it and win the referendum. He was very wrong as the Tory Party ripped itself to shreds and deepened its its already cavernous EU divisions. He has, of course, had to walk away and has done so a man in utter disgrace despite all the platitudes and goodbye smiles. But it also transpired that Labour’s divisions were about to be exposed big time as well as their right wing (sometimes called Red Tories) decided to use what it said was Jeremy Corbyn’s lacklustre performance during the EU Referendum as a stick to beat him with. In fact that allegation seems not to stand up to close scrutiny as despite the press and ‘Red Tories’ saying Corbyn did not make the effort the facts look to be just the opposite. I am no apologist for the Labour leadership but the very best you can say about the attacks on Corbyn’s EU performance is that it was nowhere near as bad as his detractors have said it was. So Labour fell apart too thanks to Cameron’s referendum, although this was probably his only personal bright spot this year! And then Tory rats who had been sailing the good ship UK into high Brexit seas all decided to jump ship when they had filled the UK electorate with utter nonsense and won! They knew what they had done (you could see it in their let’s get out quick faces) and they were not about to stay around to help clean up the mess; even the UKIP leader ran off with them. But bizarrely May has brought Boris back for more punishment in a high profile job he could not resist! So Tories, Labour and UKIP have all gone for a new leader, well Labour’s Red Tories want one but the left does not. We presently only know the result of the Tory selection as it was no election. It had more drop-outs than a poor university course! Don’t you think it was odd that Johnson backed out of the Tory leadership race and was it not even more odd that Loathsome also backed out at the last minute? It’s it the case that the Tory 1922 Committee realised that a public election campaign between Loathsome and May would again tear the Tories apart so Loathsome was advised to back out? May therefore has been crowned without being exposed to the unpredictable and some Tories would say barmy Tory Party membership. But of course she has no mandate and no legitimacy. So the whole charade since May 2015 has been about the Tory Party with us the poor bloody electorate being manipulated at every turn. Yes of course the process has also exposed fatal flaws in the Labour Party but that rematch has been on the cards ever since Neil Kinnock and then Tony Blair managed to chase socialists out of what was meant to be socialist party. The referendum result simply precipitated another attack by punch drunk Red Tories on Corbyn but it would have happened anyway. But you know the Tories having manipulated themselves and us into a bloody awful mess expect to be able to rise up again and all will be OK with the Party that usually governs the UK. But will it? Scotland having rid itself of a tired authoritarian Labour Party is surely going to go for independence again and who would bet against them getting it, deserving it and needing it? Sadly there are now few credible arguments for the Scots to stay in the UK and I say that as one who hoped they would stay in the first independence referendum. And Northern Ireland, what will they do having voted to stay in the EU with Scotland. Clearly things are not so clear cut there with the Protestant community still wanting to cling on to being a part of the UK. But you know a united Ireland must be more on the cards now than it has ever been since separation because the Irish Republic is strongly supportive of the EU. But then there’s the Remain voters in England and Wales who are clearly and thankfully (from my point of view) not going to take Brexit and all the potential trouble that comes with it lying down. Brexit voters may continue to tell us to ‘deal with it’, ‘shut up’, ‘move on’ but they must be on something if they think such advice will be listened to. And finally (for now) there’s the huge question of what happens next. Clearly the Brexiters had no plan and had no intention of coming up with one. Is that why May has put them in Cabinet positions where they have no choice? When you ask them, as I have, you get awkward smiles, ‘it’ll all be OK’ type remarks and a change of subject. Some of them wanted Brexit at any cost so don’t seem to give a damn what happens next, although you can be sure they will pointing the finger of blame at everyone but themselves if and when the wheels do come off. Prime Minister – Your advice Sir Humphrey? Sir Humphrey – Please read the transcript of the advice I gave to Mr Cameron Prime Minister. 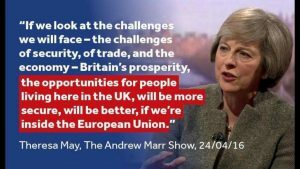 Prime Minister – What good will that do? Sir Humphrey – Well he ignored all the advice I gave him and he therefore created the hole that you are now sat deeply in Prime Minister. Prime Minister – Oh bugger Cameron Humpy you know that advice was given to him so that he would ignore it – It was wasn’t it? Sir Humphrey – No Prime Minister it was not. Time to Kiss your backside goodbye Prime Minister, I am off to advise the Scottish Government. But do not worry Prime Minister Mr Trump may be coming over the pond to give you the benefit of his advice, I am sure you will get on famously!